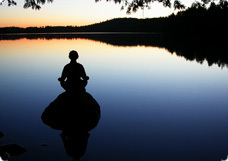 The ancient practice of meditation is firmly rooted in the world's great spiritual traditions. For more than 5,000 years, people of all cultures and religions have used meditation to enhance their mindfulness and their spiritual and mental well-being. The truths discovered through meditation are universal. At its essence, meditation allows the mind to rest, and the attention to focus on a single subject—an image, spoken word, mantra, spiritual theme or the breath. With training and a little practice, anyone can experience the bliss of meditation. As you continue with meditation, you will come to a deeper self-understanding, leading to personal growth and greater inner freedom. Ultimately, you come to know yourself as pure, conscious, free and in unity with all. Many meditators experience a profound transformation. If you have questions, you may also contact us at 781-647-0020 or info@advaitameditation.org.